Humminbird PiranhaMAX 175 Portable has an average rating of 3.25 out of 5 based on 4 user reviews. Fishing sonar is a technology using sound propagation to detect fish under water. The concept basically involves emitting pulses of sounds and listening for echoes from the fish making it easier to locate their position. This was developed from the sonar technology of submarines. Hydroacoustics or underwater acoustic studies make it so much easier to detect and catch fish. Fishing enthusiasts who have tried the PiranhaMAX 175 Portable for the first time were impressed with how it is so much easier to locate, watch, track and even catch fish. Those who have seen the difference between their traditional methods and this new fishing technology now can’t imagine going out on their boat without their fishing sonar. Imagine sitting on your boat and looking into a screen showing you how many fish are under your boat without sticking your head in the water. You can see what they look like, ID each one and track their direction, and of course, see the best place to make a good catch. Humminbird PiranhaMAX 175 portable offers accurate and very clear pictures of the fish swimming below your boat. Now you can see the even the bottom image and structure of the fish that only a professional grade sonar technology can give. With their new design, the 4″ display with 1600 watts PTP power output with Dual Beam sonar now has a 16 level gray scale 240V X 160H, which is an improvement from its previous models. Compared to older models, there is a very big improvement in terms of clarity, color and visibility, revolutionizing the whole fish tracking experience. Waypoints now can be marked as you see your track; the Humminbird PiranhaMAX 175 Portable has an easy-to-use interface equipped with Fish ID+, Zoom, fish alarms and depth alarms. Even in direct sunlight, displays can be seen clearly through Color TFT or contrast-enhanced clear edge gray scale display. Many reviews from retailers and customers have said that the Humminbird PiranhaMAX 175 Portable is great! The best features mentioned in reviews speak of the bigger monitor and its clarity. Unlike the older versions or its other counterparts, you will not have to squint and strain your eyes to see the image. But now, the picture quality is said to be superb. It is also easy to use because of its swivel mount which easily connects and disconnects. Most importantly, its ability to track fish even in the deepest waters gives it a very high rating from its users. 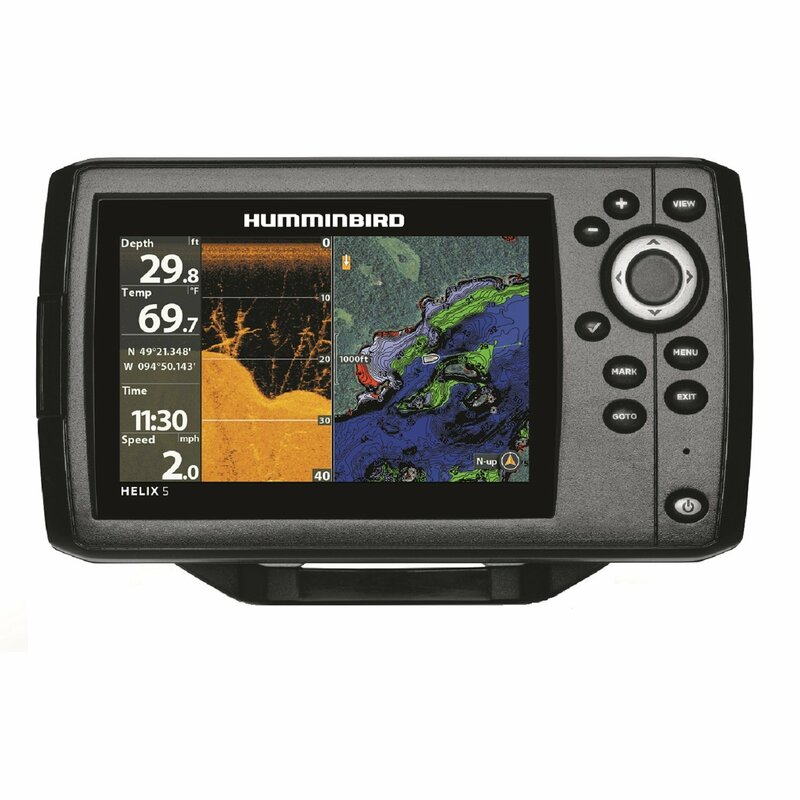 You can get a great deal on Humminbird PiranhaMAX 175 Portable here. This is a very good fishfinder for just $100. It’s not very accurate at higher speeds but that maybe my fault, I don’t know if I installed the transducer right. Other than that, no complaints from me. I fish on kayaks and canoes so I needed a portable fishfinder. I bought the portable version of Humminbird 175. Setup was very easy, took about 10 minutes. Everything is included, the unit comes with a carrying bag as well as the battery. It also comes with extra d-rings which was especially important for me since I use it on a kayak and the extra d-rings prevent it from going into the water. I’m getting good readings for the temperature and depth but I doesn’t display the structure and fish. An underwater tree is shown as a big dark bump that looks more like a car than a tree. I’ve never seen it show a fish. I can fish but I never seen it in the display. I tried changing settings but it still doesn’t work. If you’re looking for a portable unit that shows temparature and depth, this unit is a good choice. It doesn’t do anything more than that. I got this fishfinder because I can’t use a transom mount transducer, I fish in a lake with many submerged trees, I lost several transom-mount transducers. A portable transducer seemed like a good idea. However, the display in this unit so bad you can’t see anything in sunlight. I returned this unit to the store, total waste of time. This fishfinder is a very good solution for smaller boats. It works as advertised, it displays temperature and depth accurately, the graph is basic but it gives you some idea of what’s beneath. The suction cup mount works for me, the transducer stays attached. Very good battery, lasts a long time.